With environmental issues proving ever more pressing, it’s important to consider the various ways in which the Internet of Things (IoT), the wireless transfer of data and information between machines and objects, is set to make a profound impact on sustainability and the protection of the connected planet. Discussions around IoT are generally centred on the potential business benefits and consumer conveniences connectivity of our smart devices and the everyday objects that surround us will bring – with many analysts suggesting that we are entering the second digital revolution. Gartner is predicting that there will be 25 billion smartphones, smartwatches, wearables, connected cars and other connected devices globally by 2020. Yet beyond improved business efficiencies and the many personal health and lifestyle benefits, what might the IoT mean for the planet’s ecological future and for the protection of endangered species? As price points for sensors continue to fall rapidly over the next few years and new forms of low power, long range networks such as Long Range Radio (LoRa) become widely established, IoT opens up important new opportunities for environmental organisations to track global development indicators and accurately measure Sustainable Development Goals (SDGs). In discussions and debates around the future of machine-to-machine (M2M) applications, sustainability and environmental protection projects really show the true potential of the IoT revolution – and the opportunity that it presents us to deal with some of the world’s most pressing industrial, agricultural and environmental problems. With this in mind, there are a number of interesting IoT sustainability ideas and M2M technology projects already in development worth considering. At Gemalto, for example, we’ve been working on a fascinating M2M project to help solve the global honey bee crisis, through vital agricultural innovation. In recent years, the global honeybee population has been dwindling, with beekeepers worldwide seeing the sudden disappearance of bees. In the US, for example, bee colonies have declined by 90% since 1962, due to pesticides, lack of wild forage, disease and parasites. Much of the deterioration is due to Varroa destructor mites that can spread viruses that rapidly destroy entire colonies. In order to help to solve the problem, we’ve been working with the agricultural tech company, Eltopia, who developed pesticide-free connected technology to help terminate Varroa destructor mites in beehives. Being developed and tested for commercial roll-out together with the University of Minnesota, Eltopia’s “MiteNot” solution uses a “smart bee hive frame” which automatically monitors and manages the temperature of the hive. 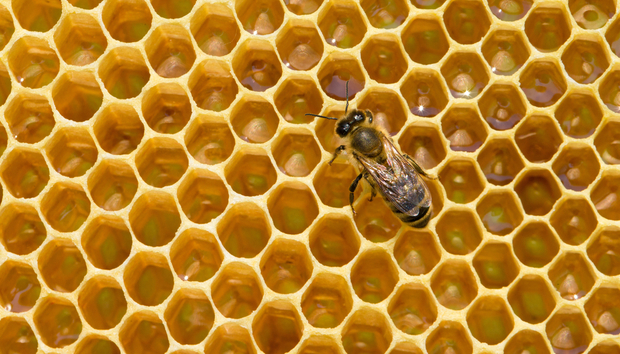 Basically, by inserting flexible circuit boards into a beehive, beekeepers are able to accurately monitor when the bees had capped their honeycomb cells. This was previously the point at which the female Varroa destructor mites laid their eggs, but now, with the support of a wireless connection through our M2M module to Eltopia’s “BeeSafe” application, the in-hive temperature can be automatically increased to a level that destroys the unfertilised mite eggs without harming the bees. The MiteNot smartframe is an innovative example of the ecological benefits of IoT and M2M. Composed of renewable resources such as cornstarch, covered in wax and designed to look and act like a traditional frame, the beekeeper simply swaps out one frame within the hive for a MiteNot frame, the “smart foundation” of which can accurately measure and change 32 specific elements within the hive using Eltopia’s BeeSafe application. This world’s declining bee population has a potentially immense impact on the future of global food security, with bees pollinating over two-thirds of the 100 most important crops that feed around 90% of the world’s population. If the honeybee were to become extinct, it would have absolutely devastating consequences for the agricultural industry. IoT technology has immense potential to help humanity create a truly green and sustainable connected planet. There are already numerous projects in development to help monitor and prevent various types of environmental damage and ecological disaster, including new initiatives to measure water levels and avoid flooding catastrophes, monitoring of protected rainforest land to prevent illegal logging and close observation of endangered species to avoid their extinction. Living ecosystems are complex networks, which is exactly why we have such opportunities opening up to monitor, analyse and manage them using low-cost, long range IoT sensors and wireless technologies. M2M communication offers conservationists the opportunity to foresee environmental threats far earlier than ever before and take adequate measures to avoid them. These types of initiatives are proof positive that IoT is already driving a number of vitally important environmental projects. IoT presents businesses, policy makers, environmental organisations and others with an immense opportunity to develop smarter and far more ecologically beneficial solutions. Connected, autonomous cars and highly efficient utilities networks in smart cities are two other major ways in which IoT is going to have a positive impact on air quality in the urban environment. Plus, current IoT technology is already increasing energy efficiency in the home with smart thermostat products like Nest. The latest IoT smart cities initiatives are helping cities conserve energy and innovate in developing more sustainable forms of infrastructure, public transportation and citizen engagement initiatives. To put it simply, the forthcoming boom in connected IoT devices and M2M networks over the next few years looks set to make a major impact on the development of many more creative, innovative and practical sustainability initiatives - from connected homes, to intelligent traffic and water systems servicing the smart city through to new pioneering M2M-driven large-scale environmental projects, IoT is vital for the ecological future of our connected planet.